German car maker Volkswagen has launched the limited edition of best selling hatchback Polo GT in Indian car market christened as Volkswagen Polo GT Sport, with starting price of Rs. 9.11 lakh for petrol variant and Rs. 9.21 lakh for diesel variant. Both the prices are ex-showroom prices New Delhi. The petrol variant sports 1.2 litre engine while the diesel adorns 1.5 litre engine. To give this limited edition the sportier look Volkswagen has updated the GT hatchback with 16 inch alloy wheels, glossy black spoiler and leatherette seat covers. Addressing the launch of Polo GT Sport Edition Mr. Thierry Lespiaucq, Managing Director, Volkswagen said that this limited edition their group offers an option of buying the Sportier version of this best selling hatchback to its aspirants. 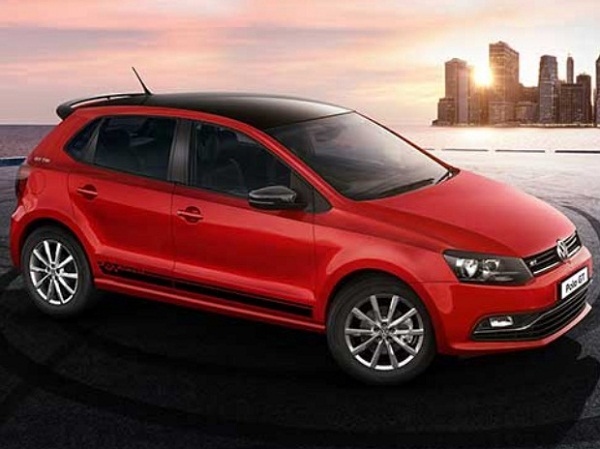 The Sport Polo GT is speculated to enhance the sales of this hatchback. Prior to this in November 2016 the German car maker had launched the two door version of this hatchback in Indian car market with starting price of Rs. 25.65 lakh (ex-showroom price, Thane). This version of Polo is empowered with 1.8 litre TSI engine that generates the power of 189 bhp and the torque of 250Nm and mated with seven speed DSG transmission system. It is also rumored that in coming months car maker is planning to upgrade the hatchback with ABS as standard feature across its entire range. As till now the feature is offered only in the Comfortline and Highline of the hatchback.